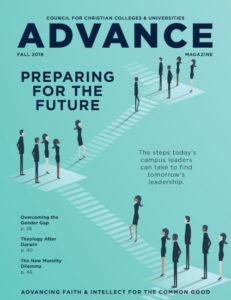 WASHINGTON – John K. Bucher Jr., co-director and faculty member at the CCCU’s Los Angeles Film Studies Center (LAFSC), was named as one of the top 25 influencers to follow in virtual reality (VR) by Disruptor, one of the world’s top tech web sites, in March. Bucher is the author of Storytelling for Virtual Reality, which was the top best-seller in Amazon’s film and media section the week of its release last August. “Storytelling is one of the most impactful ways to influence culture, and every major technology has only succeeded when people have figured out how to tell stories with it,” he says. 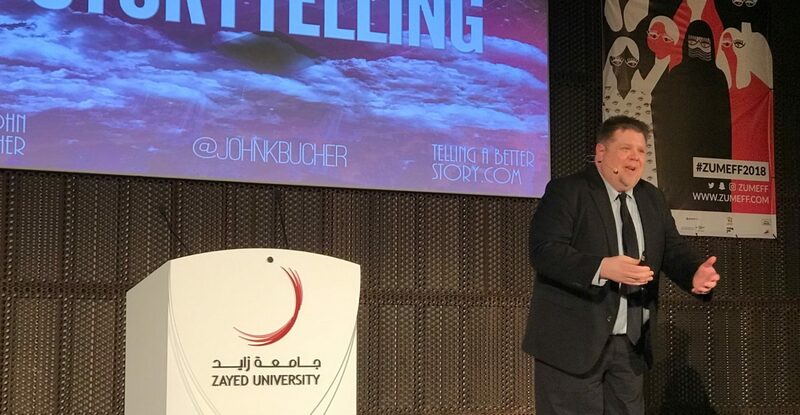 Bucher has spoken internationally on the topic of VR storytelling in Malta and the United Arab Emirates (UAE), where he was the keynote speaker at the ZUMEFF Film Festival, the largest student film festival in the Middle East, hosted in February at Zayed University in Dubai, UAE. His talk at ZUMEFF was attended by seven ambassadors to the UAE, including the ambassador from the United States, as well as members of the UAE royal family. To learn more about the L.A. Film Studies Center, visit bestsemester.com/LAFSC.